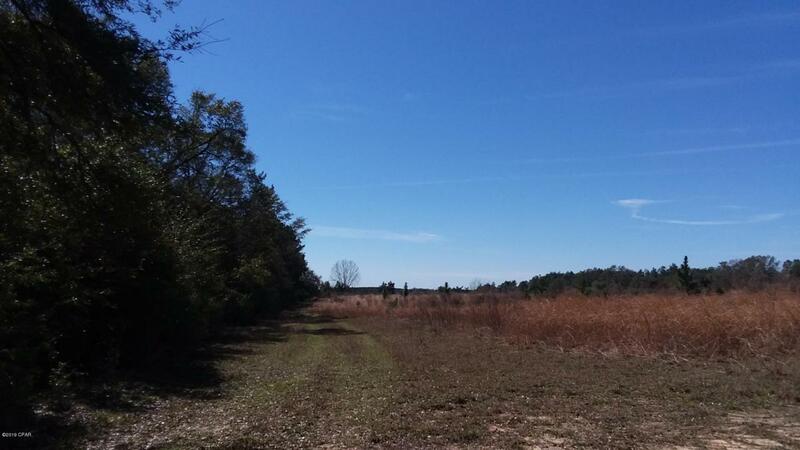 Unrestricted 35-acres on a hill on Leavins Road in Washington County about 1/2 mile from Hwy 79. Appx. 850' road frontage on county maintained Leavins Road with some older fencing. About 1/2 of the land is thickly wooded with the other 1/2 having volunteer trees since it was been bush hogged years ago. There is a 30' easement along the Eastern boundary where the entrance gate is located. Would make a great place for a farm or for your new home. Mobile homes are acceptable. Buyer will need a water well and septic tank installed for a home. Property is convenient to Interstate-10, Bonifay, Vernon, Bay Co Int'l Airport and Panama City Beach, FL. Contact a Realtor today to view this nice acreage!